Fort Worth-based NBC5 is losing one reporter, gaining another. 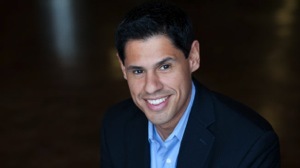 Ray Villeda, who joined the station in October 2011, is moving on up to WNBC-TV in New York City. He grew up in the Big Apple. News director Susan Tully tweeted her approval: “Good things happen to great team members.” she said. 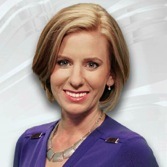 NBC5 also has a new reporter, Meredith Yeomans, who started on May 18th after working at Sherman/Denison’s KTEN-TV since December 2012. The University of South Florida graduate also has been a news room staffer at TV stations in Phoenix, Houston and Tampa, FL. Name dropping -- A vigilant reader notes that Sunday’s Season 2 premiere of AMC’s Halt and Catch Fire, a 1980s drama set in the “Silicon Prairie” of Texas, included a reference to a news reporter named Chip Rowlett. That’s a reference to the late Chip Moody and the still ticking Tracy Rowlett, both of whom were prominent Dallas news anchors during that period.